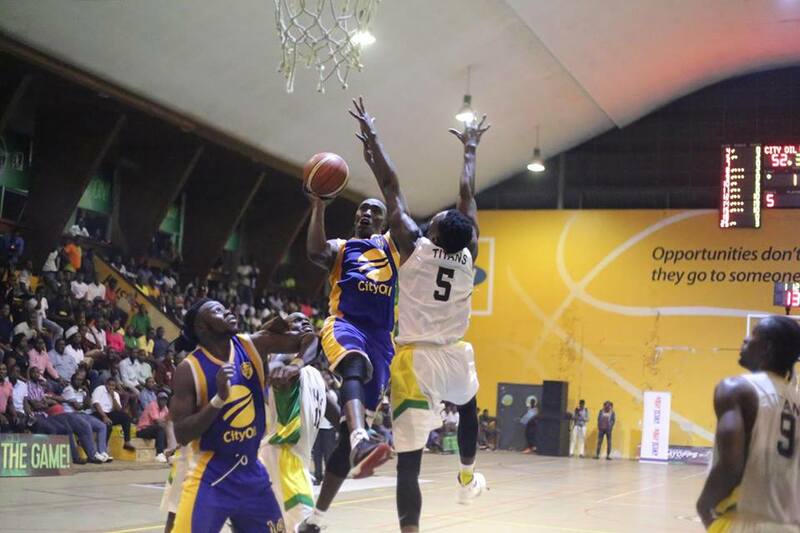 LUGOGO – Five-time FUBA National Basketball League (NBL) champions, City Oilers overcame KIU Titans to storm a sixth consecutive final on Friday night. Mandy Juruni’s side who came into the game leading 2-1 in the best of five games’ series defeated the University side 86-73 at the MTN Arena in Lugogo. Despite knowing a loss would eliminate them, KIU started slowly and by the end of the first 10 minutes, they were trailing 13-22. With much of the crowd behind them, the University side picked themselves up and won the second 16-12 as they ensured that Oilers led by only five going into halftime. KIU, thanks to impressive plays by Chris Omanye, Michael Bwanga and Sudi Ulanga, edged the third quarter 20-19 to trail by four going into the last quarter. At the start of the fourth, Sudi Ulanga sank a three from downtown to bring his side to within a point of leveling matters. Moments later, Oilers’ Josh Johnson answered back in similar fashion to bring his side’s lead back to four. With 8:44 to play, the game was all square: Sam Agutu converted one of his two free throws before Sudi added another three to bring the scores at 56 all. It was a cat and mouse affair before Ben Komakech made a driving layup, Tonny Drilleba scored from a jump shot, Stephen Omony sank a three as Oilers took a 71-63 commanding lead with just 4 minutes on the clock. Oilers never looked back despite Sudi and Bwanga late attempts to fight back, the score was far away from their reach and James Okello sealed it with a dunk. Oilers had won game four 86-73 and the series 3-1 to reach a sixth successive final. Despite the loss, Sudi Ulanga scored a team-high 22 points. Chris Omanye and Joseph Chuma contributed 13 and 11 points in that order for Titans. For oilers, Landry Ndikumana contributed a double double of 25 points and 13 rebounds. Stephen Omony managed 16 points, James Okello and Jonathan Egau put up 14 each. City Oilers will now wait for the winner between Betway Power and JKL Dolphins in the finals. The sides are to play their game four on Sunday. Power lead the best of five series against JKL, 2-1.